Our research activities related to precision agriculture involve collection of remotely sensed data using aerial and proximal sensors, and integration of these data with other spatial data collected at field or landscape scale to monitor crop and soil health issues. 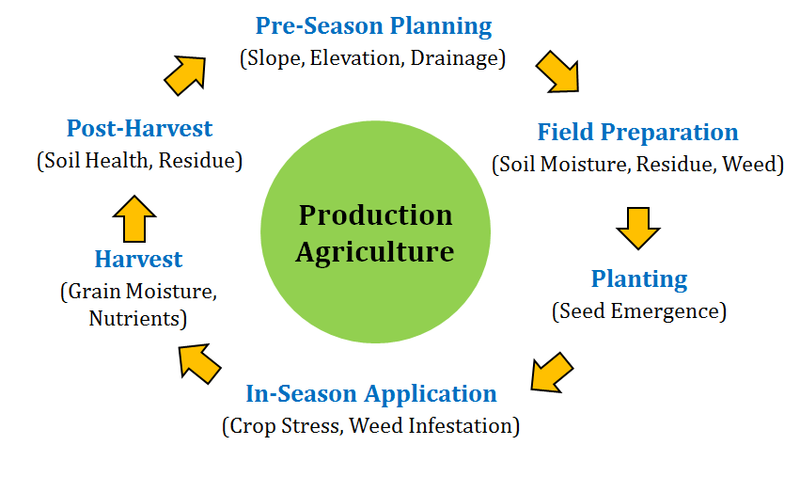 We use computer vision and machine-learning approaches to understand the role of land management practices under various aspects of production agriculture. We are currently using both manned and unmanned aircrafts based remotely sensed imagery to monitor in-season nitrogen stress in corn production and soil health under various land management practices. We develop machine-learning algorithms for predicting crop yield early in the growing season. To ensure our research is meaningful to the farming community, we work closely with farmers, extension specialists, agricultural engineers, precision agriculture industries, and remote sensing vendors. 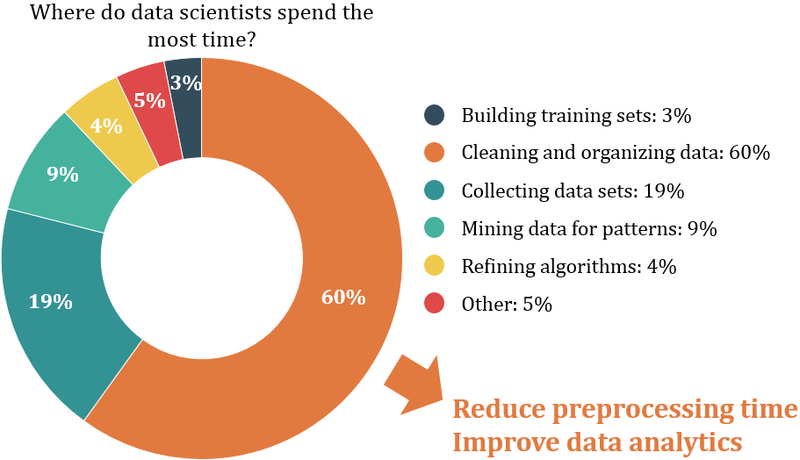 A survey of data scientists has found that they spend most of their time preparing data rather than mining or modeling data. Our group is committed to designing and developing various methodological frameworks for improving collection, preprocessing, management, processing and analyses, and visualization of data in near or real-time for improved decision-making. We use computer vision algorithms in cloud-based control architecture to automate data preprocessing and processing, and data analytics to support informed decision-making. This work bridges computer science, agricultural engineering, and electrical engineering disciplines. Our group also focuses on developing and using ecosystem and geospatial models for sustainability assessment of agricultural and forest systems under changing climate and management practices at various geographic scales, including field, watershed, regional and national scales. Using these approaches, we are interested in evaluating the role of various land use management practices and determining the best management practices that optimize the tradeoffs between environmental, technological and socio-economic sustainability.